If you like entertaining outdoors or like having barbecues, I'm sure you've come across the problem of chilly evenings cutting your party short. Sure, you can move the party indoors. 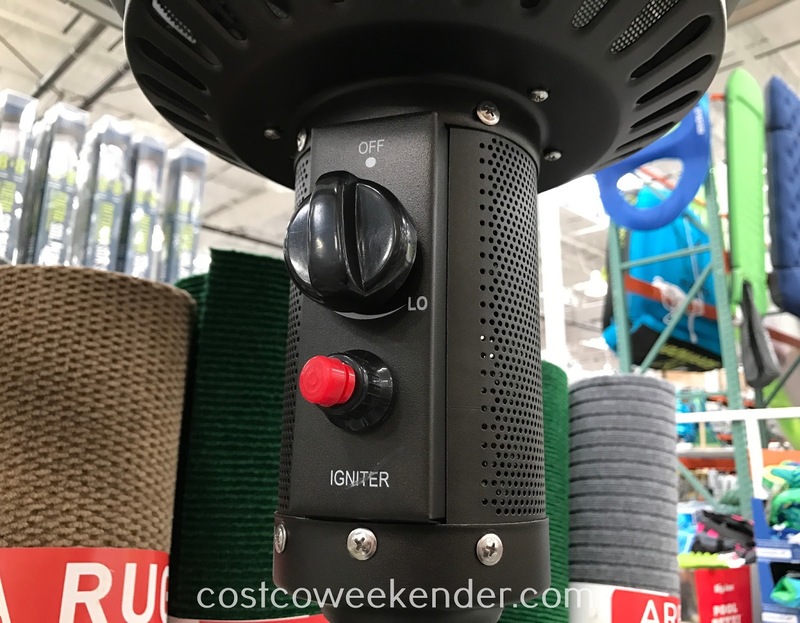 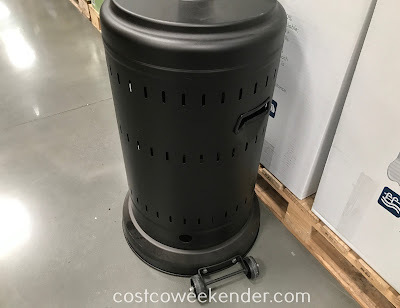 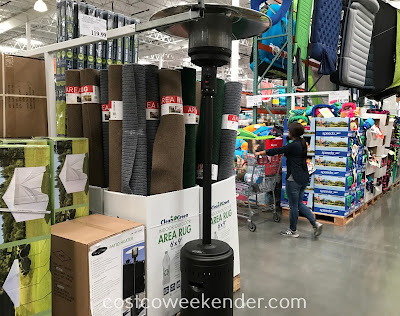 But now with the Fire Sense Commercial Patio Heater from Costco, you can stay outside for longer. 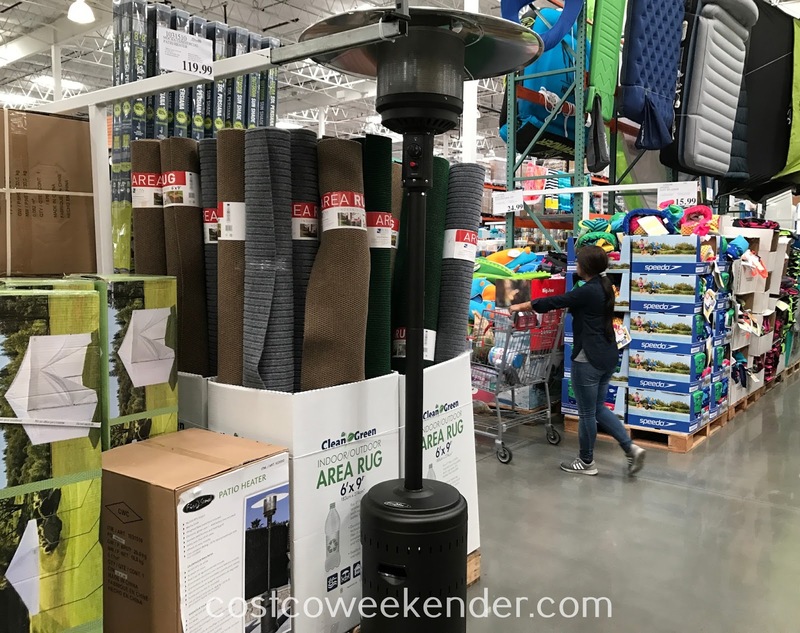 Everyone can now gather around the fire, stay warm, and enjoy the summer evenings. 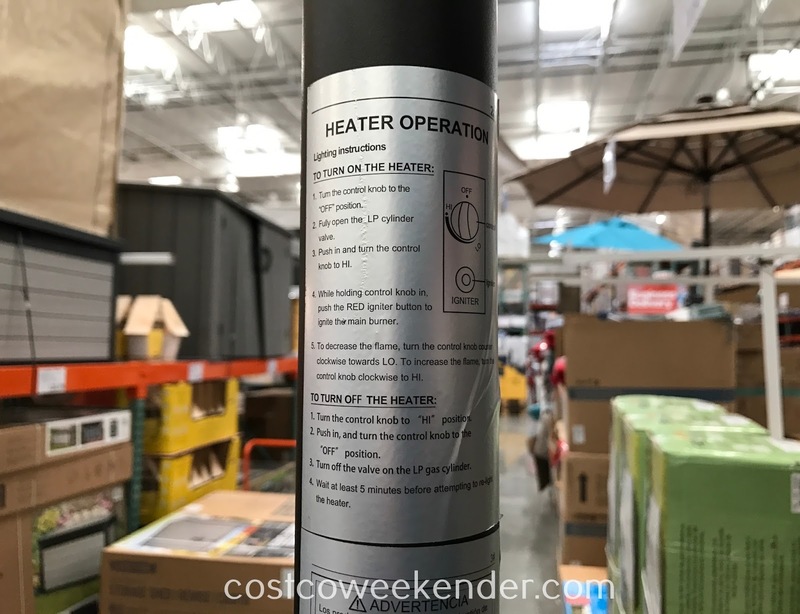 At 46,000 BTU output, this commercial heater will be more than enough for your patio or backyard. 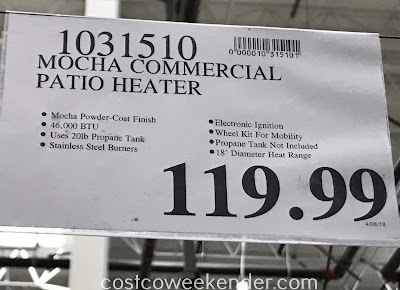 And since it uses a standard 20lb propane tank, filling it up is just as easy as firing up the grill. 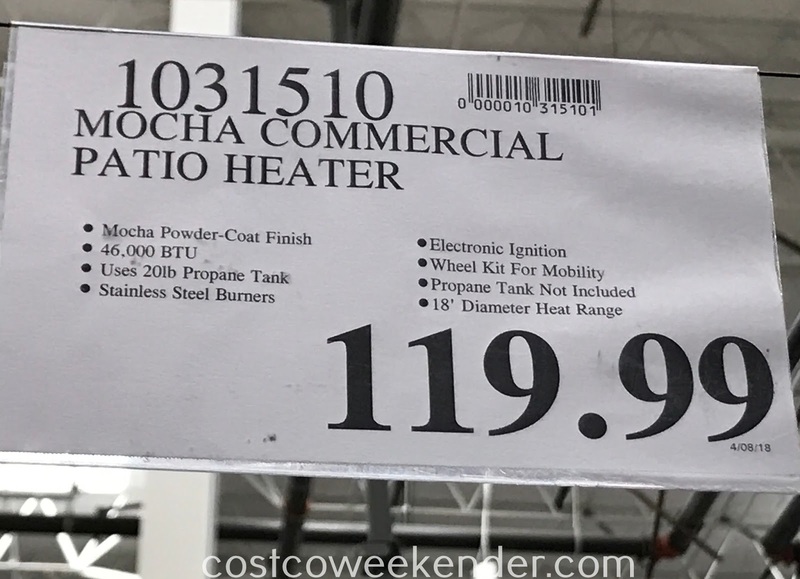 Thanks to the built-in wheels, you can move it around your patio with no problems. It also looks great with its mocha-colored power-coat finish. 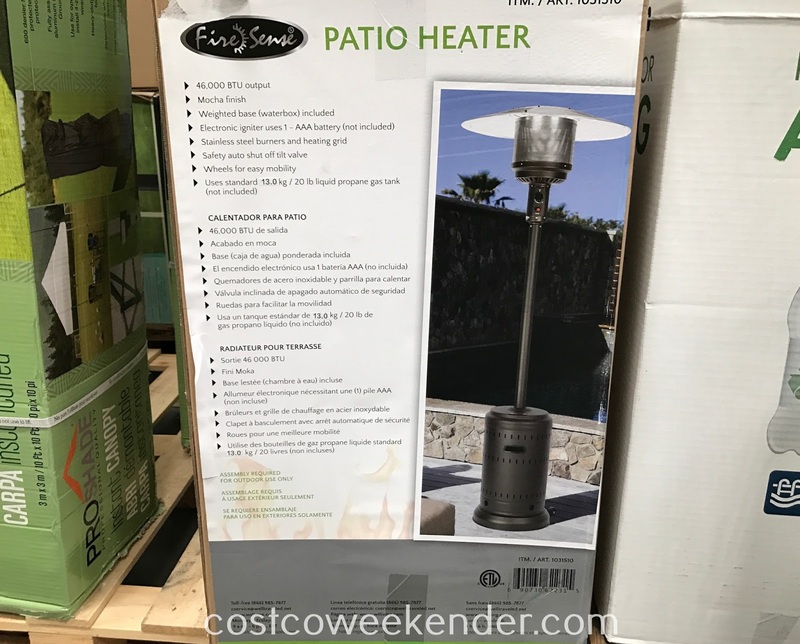 So stay warm today while outside with the Fire Sense Commercial Patio Heater.